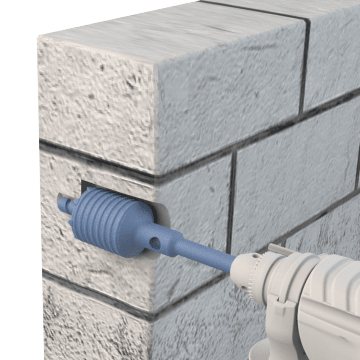 Hollow cutting tools with sharp teeth on the cutting edge cut around the perimeter of the hole, using less power and effort than solid drill bits when making larger holes in materials such as concrete, masonry, and limestone. 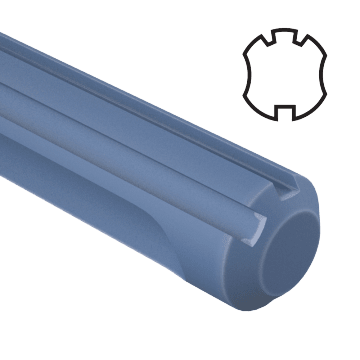 These core bits have a carbide tip that offers the strength and wear resistance of carbide steel on just the cutting edge. They come with a pilot pin to center the bit and prevent it from walking when starting a hole. These bits have an SDS Max shank that prevents the bit from slipping in the chuck of a compatible rotary hammer drill. 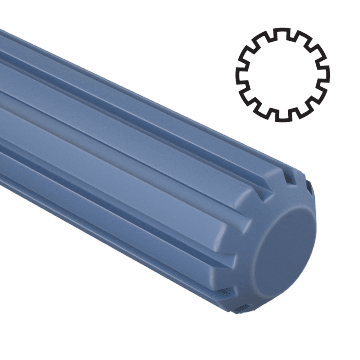 They are suitable for high-torque applications. 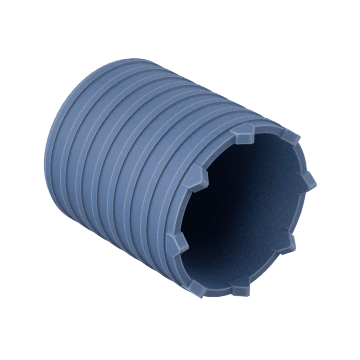 Bits with this shank style can only be used with tools with a compatible SDS Max chuck, which is spring loaded to absorb heavy impact and vibration. Bits with an SDS Max shank can be changed with one hand for more efficient drilling. For use in rotary hammer drills with a spline-drive chuck, these drill bits have a spline shank with twelve teeth that fit into a compatible spline drive chuck to prevent the bit from slipping in high-torque applications. The bit is held in place with a retaining pin, further improving stability. Individual core bit heads come with a guide plate and pilot pin and require a compatible adapter or extender to install on the tool.